areas of business, the rules of the game are changing. What’s changing? Well, everything. 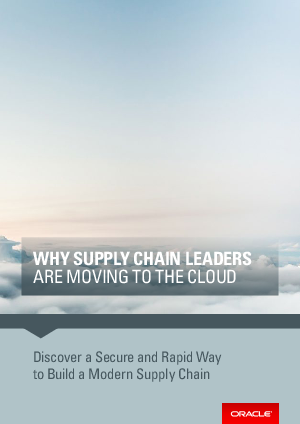 New regulations, increased buyer expectations, shorter product lifecycles, fluctuations in demand, new market entrants, more ethical supplier management, poor visibility of globalized supply chains—all these things, and more, are testing the limits of the traditional supply chain model. The simple truth is that the way things used to be done, and the solutions that enabled it, are no longer up to the job. Today, organizations need levels of flexibility, integration, and visibility that are beyond what those systems were designed to deliver.